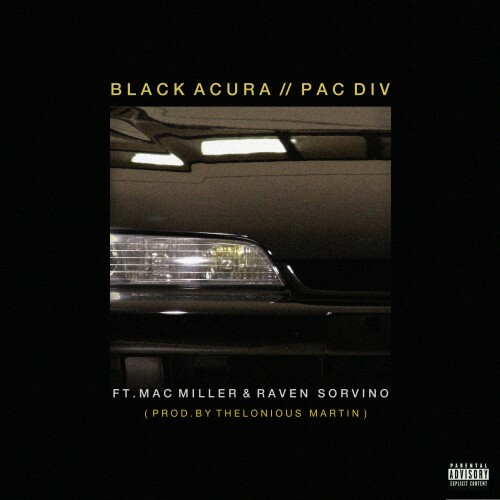 West Coast trio Pac Div have come out of nowhere with their new Mac Miller and Raven Sorvino (of Language Artz) assisted track, 'Black Acura. Featuring production handled by Chicago's Thelonious Martin, the Pac's decision to team up Mac Miller is a move most fans and casual listeners alike likely didn't see coming. However, much to our surprise the collaborative track is one of the group's best. "Black Acura" will find a home on Pac Div's forthcoming LP GMB, which is due out October 16. With both an LP and a mixtape on the way, it seems like Pac Div are ready to make some serious moves up the rap ladder and making music like this is a surefire way of doing just that.